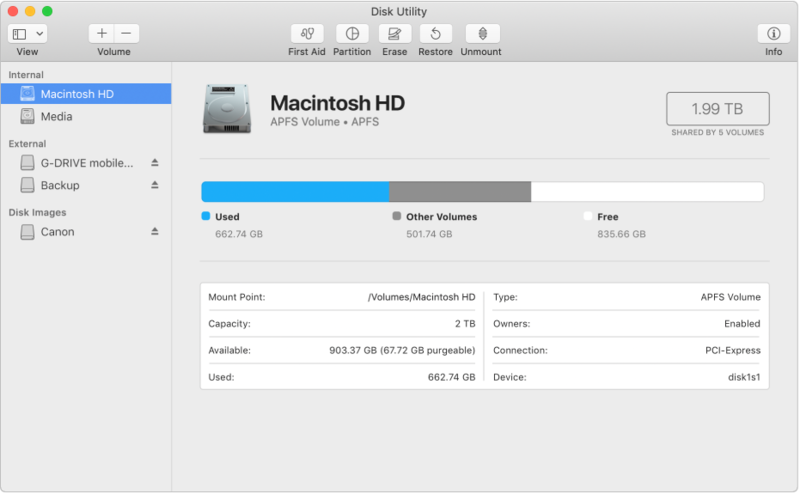 With Apple File System (APFS), the file system introduced in macOS 10.13, you can easily add and delete volumes on your solid state drives (SSDs). APFS-formatted volumes automatically grow and shrink—you never have to repartition an SSD drive again. 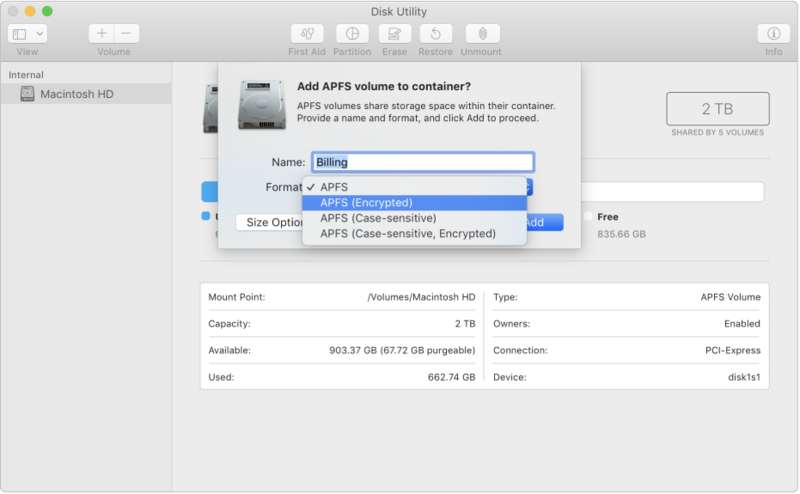 When you get a new flash drive, format it as APFS and encrypt it with a password to protect its contents. 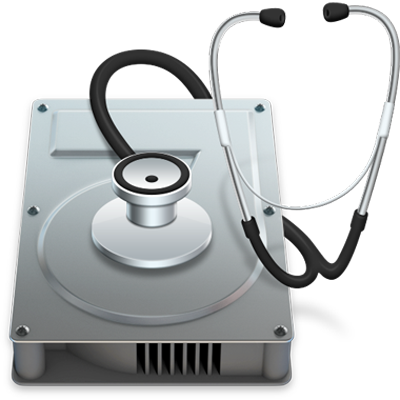 If you’re having problems with a disk, Disk Utility can check the disk and repair problems it detects. 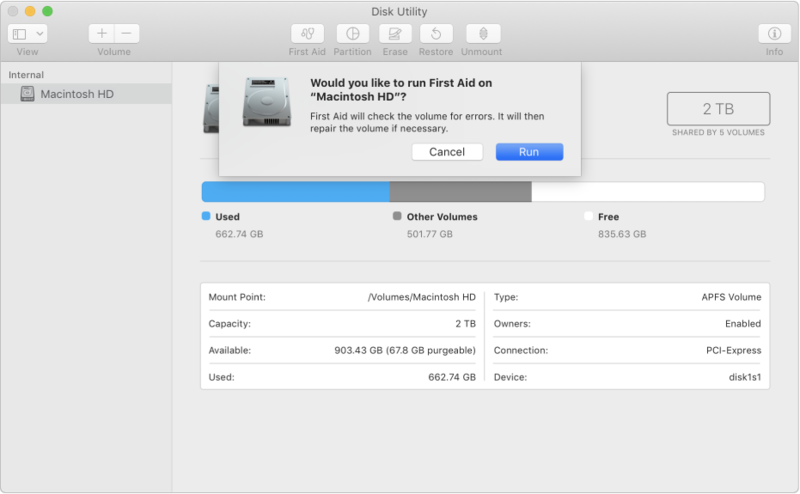 To browse the Disk Utility User Guide, click Table of Contents at the top of the page.